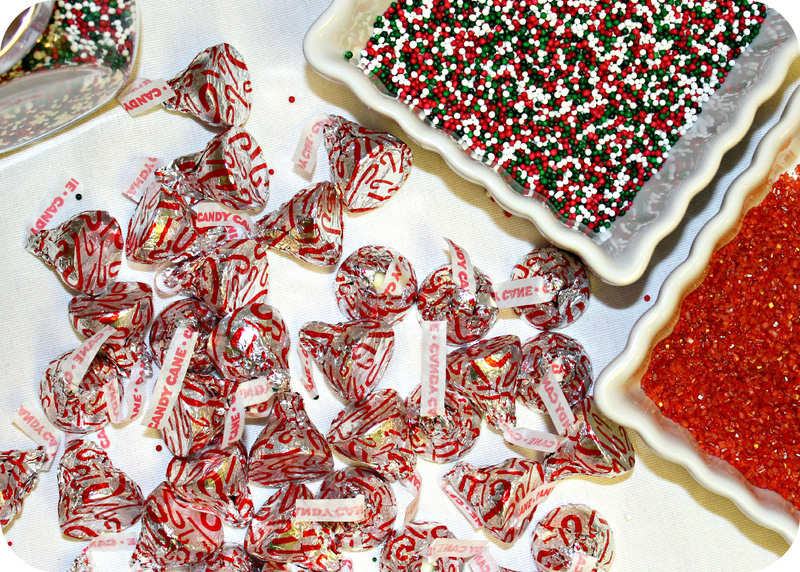 They’re cute little personal treats that spread some tasty festive cheer. 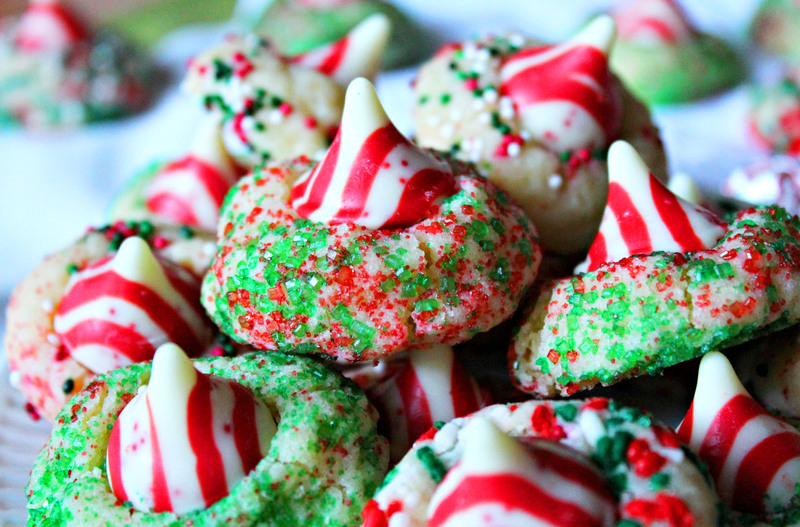 Cookies are my absolute favorite thing to bake at Christmas. 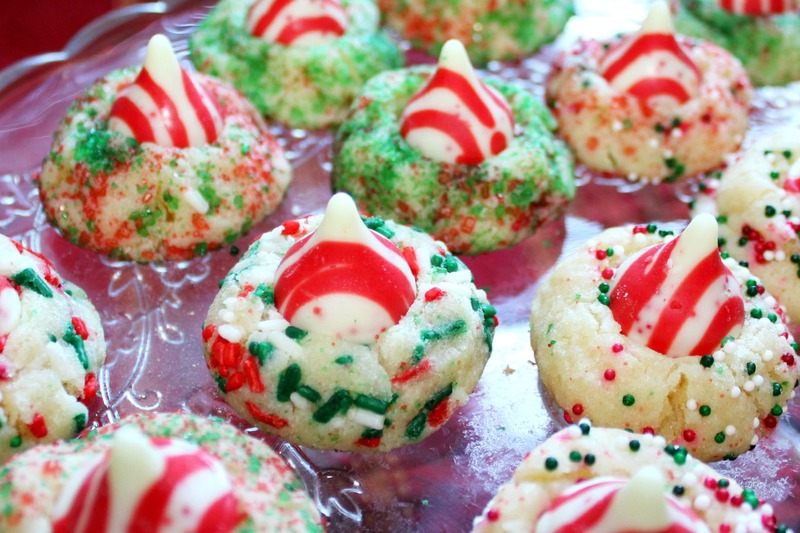 Not cakes, not yule logs – cookies. I love them for the fact that they are easy to pack up and give as gifts to friends & family, and they’re not messy. 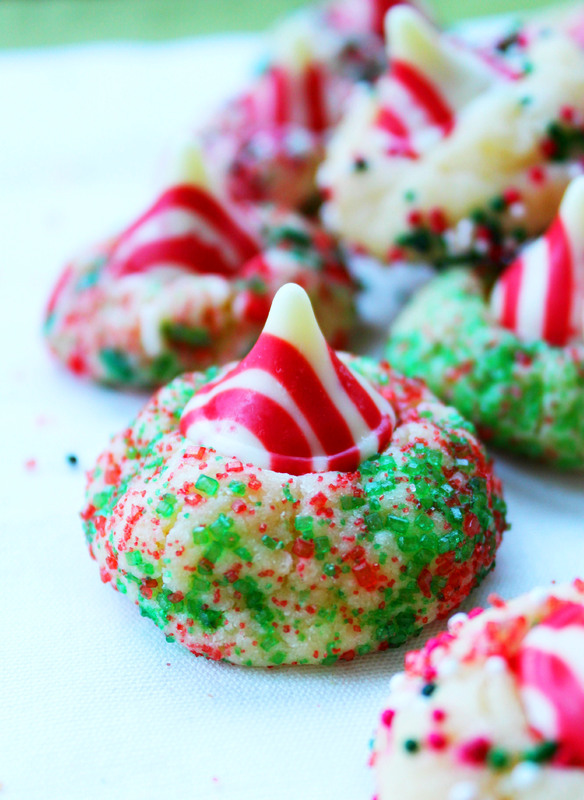 These Hershey Candy Cane Kiss Cookies are basically Christmas in a cookie. 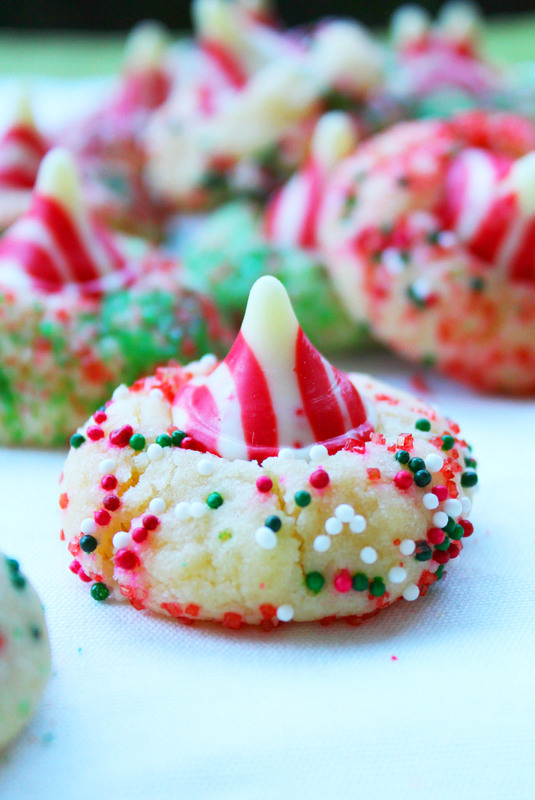 They are perfect sugar cookies rolled in Christmas sprinkles & topped with a Hershey Candy Cane Kiss. Numm! 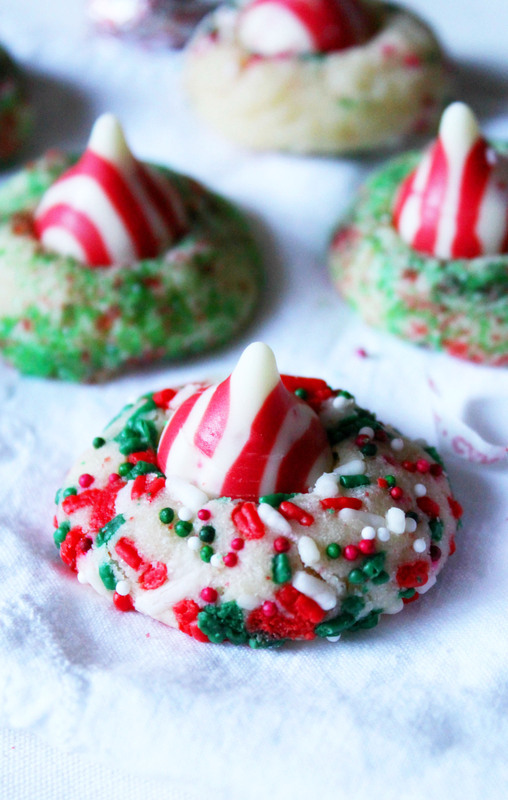 You get all the goodness of Christmas (sugar cookie dough, festive sprinkles and peppermint) wrapped up in one cookie. 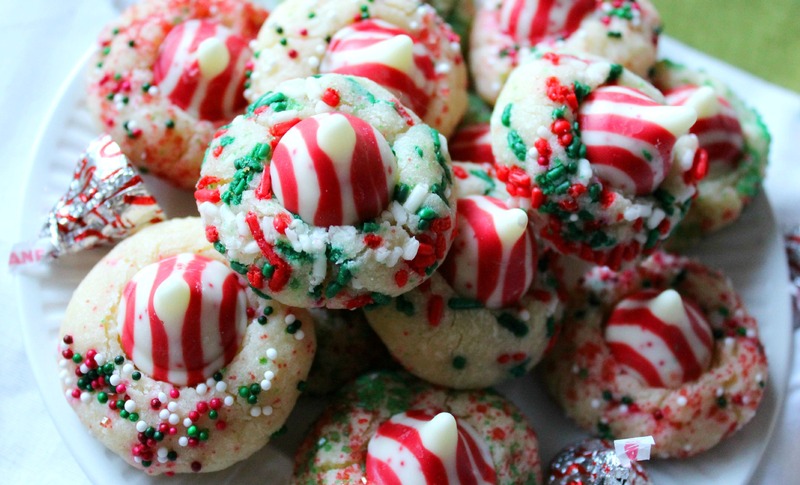 These cookies are super easy to bake (no chilling or rolling dough is required!) 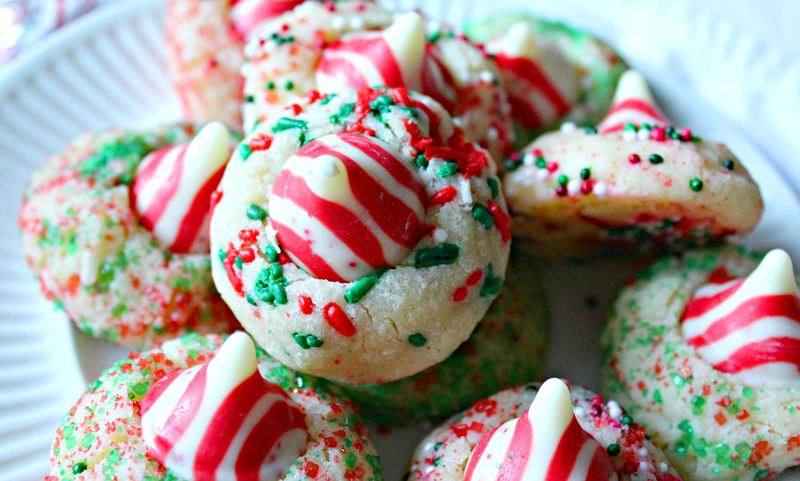 and are a sure way to add a splash of colour to your Holiday cookie tray. 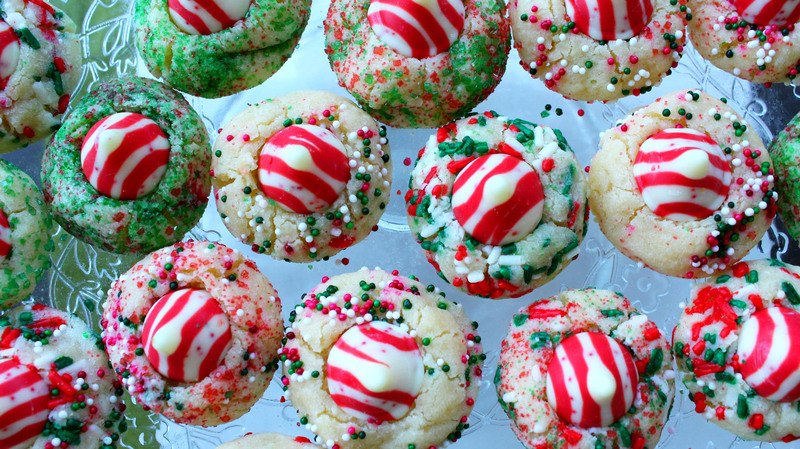 Enjoy & Happy Holiday Baking! 1. Line two baking sheets with parchment paper, or spray with non-stick cooking spray; set aside. Using your stand mixer fitted with the paddle attachment, cream the butter & sugar together on medium speed for 3-4 minutes until light & smooth. Add the egg yolks & vanilla extract, mix on medium speed until all ingredients are combined. Using a spatula, scrape down the sides of the bowl when necessary. In a medium bowl, whisk the flour, baking powder and salt together. Slowly add the flour mixture to the wet ingredients and mix on low speed until fully combined. 2. Preheat oven to 350 degrees F. Using your hands, roll the dough into balls (approx. 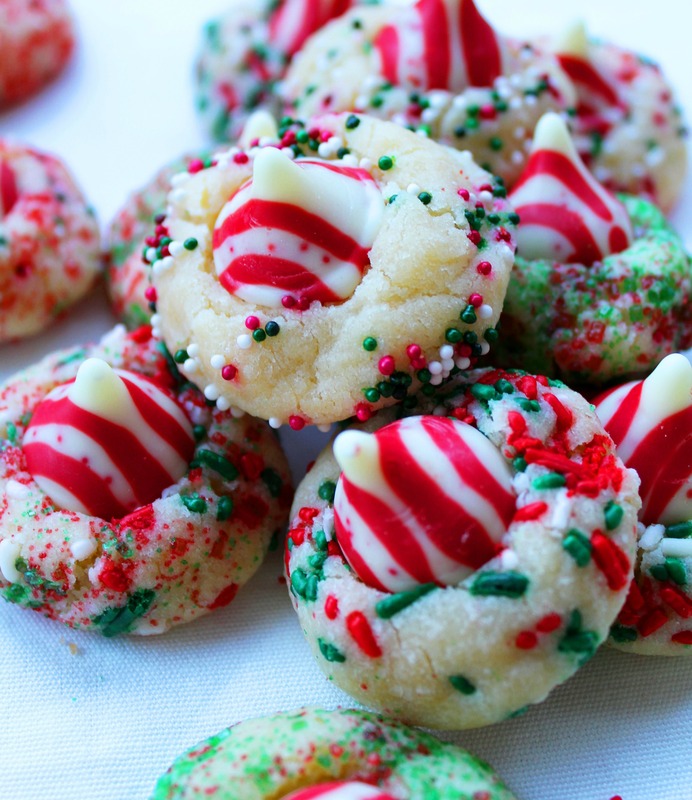 1 tablespoon of dough each). Roll the balls into sprinkles and bake for only 9-10 minutes. The cookies will look underbaked, but that is how they should be. They shouldn’t be golden at all – Do not overbake. Allow cookies to cool on the baking sheet for 5 minutes, than once slightly cooled, press the Hershey kisses into the centers of the cookies. Once you have put the Hershey kiss on the cookies, immediately put the baking sheet into the freezer for 5 minutes to ensure that the Hershey Kiss’ don’t melt.